The protest march, which commenced from Galle Monday, around seven in the morning will arrive at Ambalangoda town the same day evening. 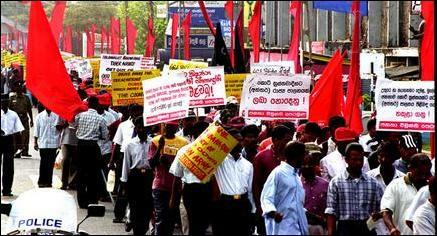 The march will resume from Ambalangoda Tuesday morning and arrive at Aluthgama the same day evening. 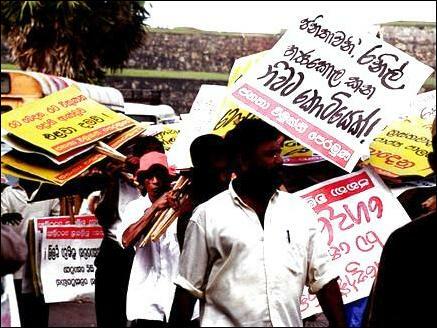 On the third day, Wednesday, the foot march will start from Aluthgama and will reach Panadura. The final day Foot March would start Thursday morning from Panadura and will reach Lipton's Square in Colombo the same day evening. 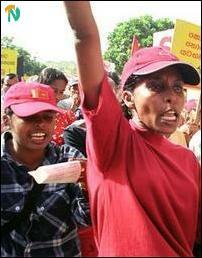 This will be followed by a rally, JVP sources said. 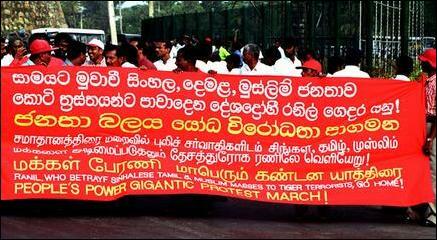 JVP parliamentarians, Buddhist monks and over five thousand party men and women cadres participated in today's march . 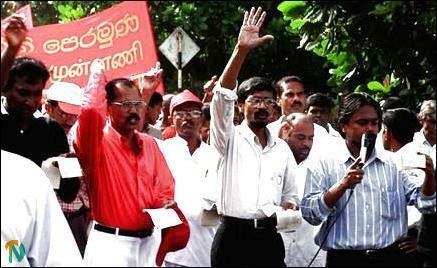 Demonstrators carried placards, red and black banners and shouted slogans condemning the UNF government, the LTTE and the Norwegian facilitators role. Before starting the demonstration march, the JVP's General secretary, Mr. Tilvin Silva, addressing party cadres said, “All political parties, politicians and everyone against the division of Sri Lanka, please join us as one front to safeguard our country."